Mobile usage has increased so much now a days that we use for every matter like calling, searching, surfing, GPS, etc. For that we would require phone to be charged whether we are at home or outside through cables connected with different sources or power bank. Mainly low battery life problems occur as mobile phone is unattended while it is being charged due to our busy schedule. So we don't recognize when our Phone Battery is Critically Low or Overly Charged (>100%). The main reason of Battery Problems that not only damages battery but also affects Smartphone's life. If an app that can help you get ride of problems like low battery, over charge, unplug while charging, etc.. should be used. Full Battery & Unplugged Alarm is specially made to overcome easily these problems for lifetime as this app will work like battery saver. 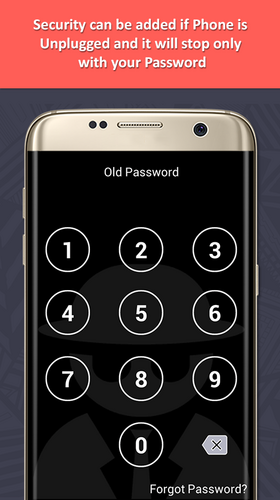 In addition, with Unplugged Alarm you can also let your Smartphone unattended while Charging. 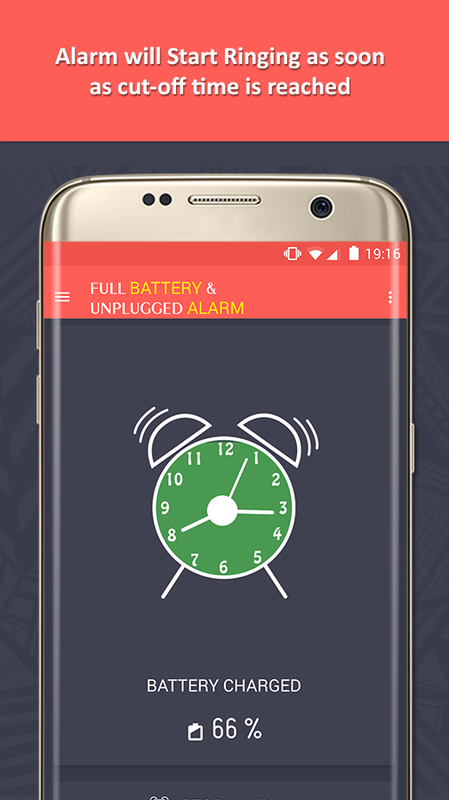 Full Battery & Unplugged Alarm App has the simple user interface that can easily define its features. Get an Alarm Alert when your Smartphone's Battery is Fully Charged to overcome Battery Damages. Yes! 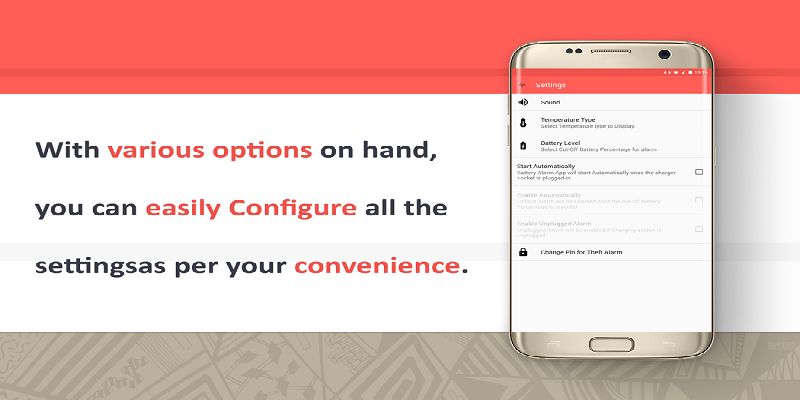 all the Functionalities are completely Free with no Extra/Hidden Charges. 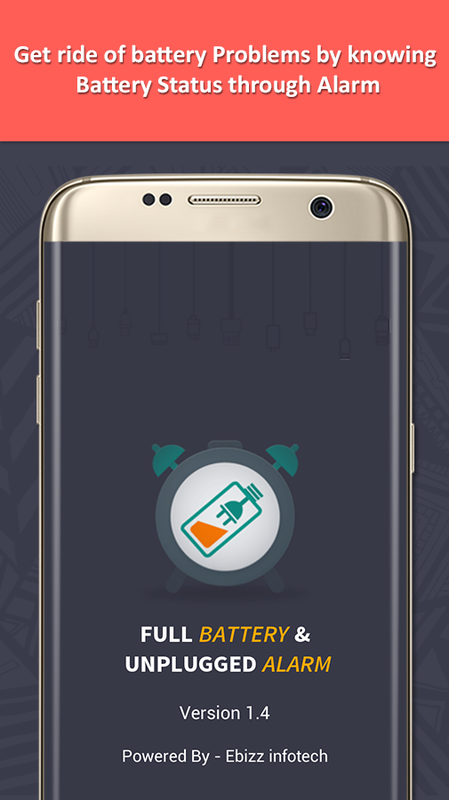 You can customize the Battery Alarm Alert Ringtone as per your Choice so that it doesn't conflict with your Smartphone's Ringtone. 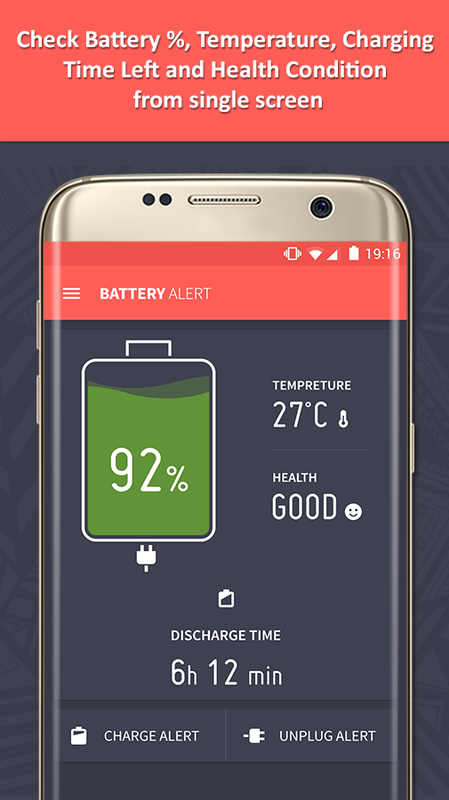 Select the charging Alert type as per your Convenience and Requirement. You can choose the Percentage at which you want to get an Alarm Alert. Once your Phone is Fully Charged, you can set the alarm at which you want charge Alert. ➺ You can check the Current temp of your Smartphone so that it doesn't get heated much. Get an idea of your Current Battery Health as well as its Temperature to overcome any damage. Get update about "Battery Full Charging Time Required" as well as "For how much Time your Battery will Work". 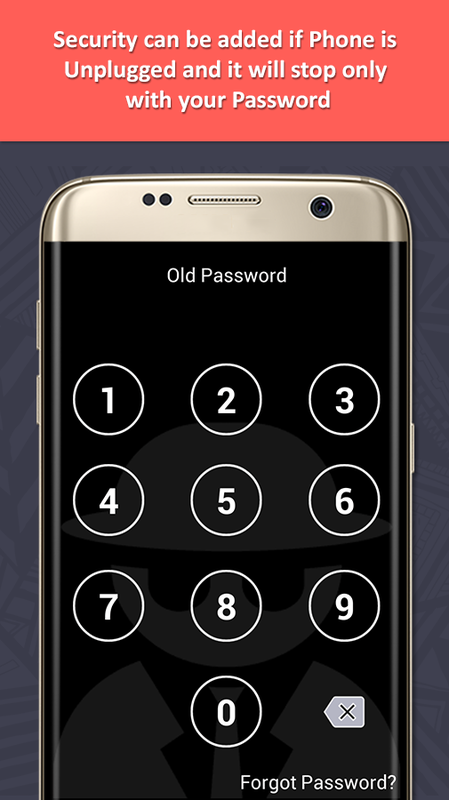 With this option, Alert Alarm in your Smartphone will Automatically start if anyone Unplugs your Phone from Charging Socket. 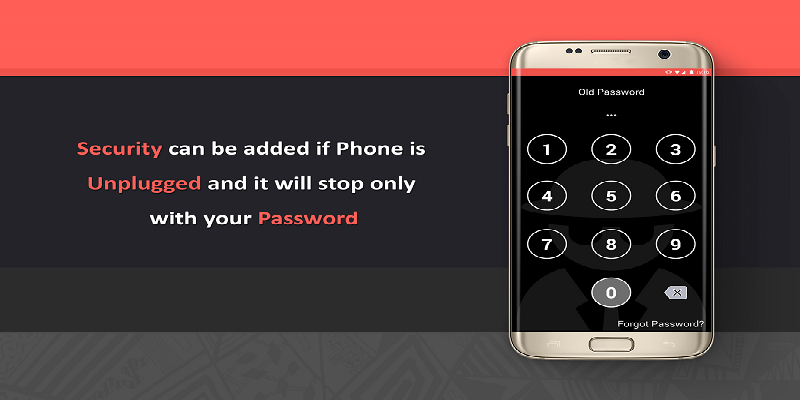 It will only stop with the Password that you have setup. For a Fact "Our Smartphone's Battery Life is severely damaged if it continuously gets low as well as gets over charged." 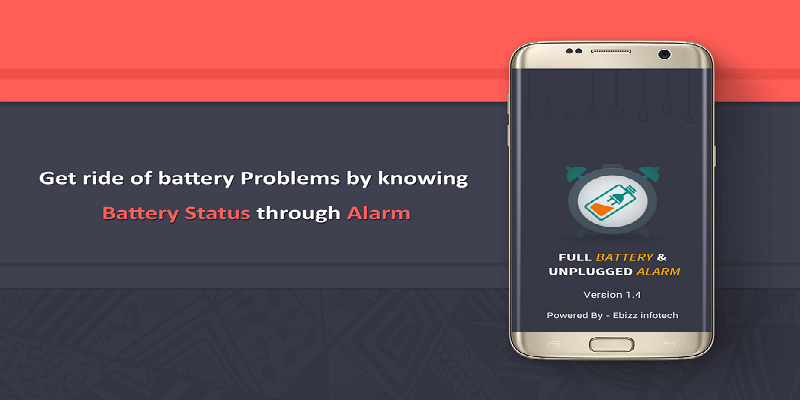 But from now onward you will be able to manage this issue easily with this Small, Smart and very Useful app named "Full Battery & Unplugged Alarm". This app will notify you when your battery is fully charged and when it is unplugged before reaching its due level selected by Ringing, Vibrating and Light Blinking. 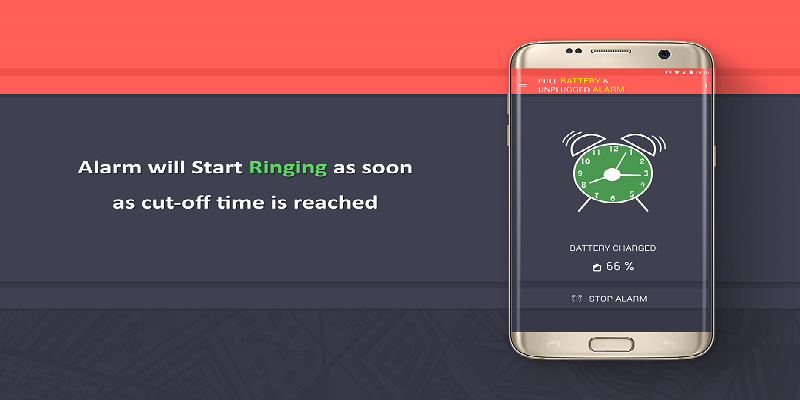 In added Features and Functionalities, you can also select your favorite ringtone for the alarm. Yes! It will automatically sound an alert once the battery is full. You can select battery level and make customization. 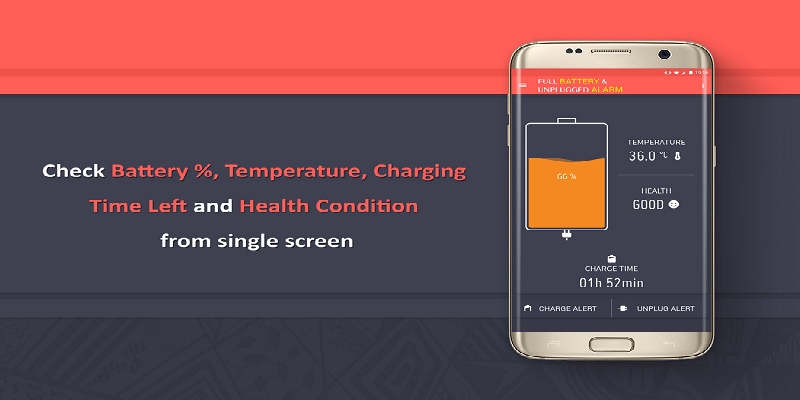 Therefore, just Download this App for once and erase all of your Tensions related to Phone Charging, battery info as well as Battery Health related issues!